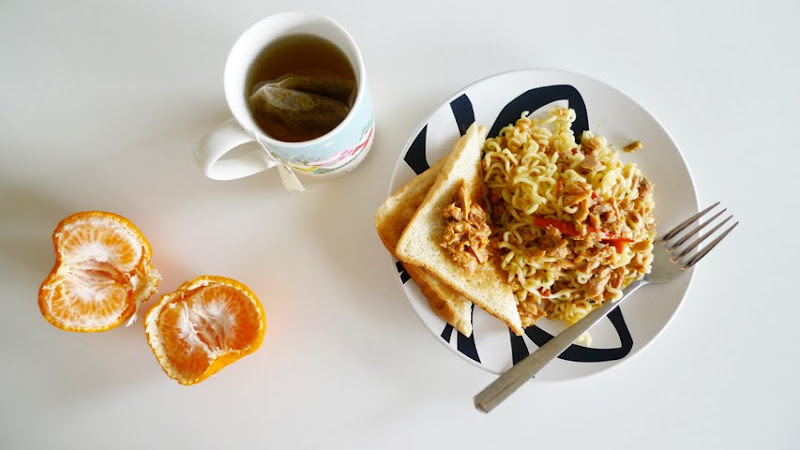 Spicy tuna on noodle and toast, mandarin orange, camomile tea. Well, not exactly a feast, but recently i have been eating a lot of tuna especially this spicy type in cans. It’s so good!